Yokohama Tire Corporation's core focus on technology has allowed it to pioneer many industry firsts and groundbreaking innovations. From our A008 that made the Yokohama performance a legend to our revolutionary advanced compound-infused dB Super E-spec™, our engineering spirit never rests. It has been and always will be committed to the most advanced developments as it pursues a singular goal in mind: your driving enjoyment. The race track is a grueling place, punishing tires as competitors race hundreds of laps at times and speeds averaging more than 100 miles per hour. Yokohama rises to the occasion with the second-generation ADVAN ENV-R2 as the Official Spec Tire for the Porsche GT3 Cup Challenge USA by Yokohama race series. The ENV-R2 helps power a fleet of Porsche 911 GT3 race cars at leading U.S. tracks such as Sebring and Mazda Raceway Laguna Seca. It reduces petroleum inputs by approximately 20 percent and increases recyclability while performing at the same level as previous compounds. With the launch of the AVID ENVigor, Yokohama is the first tire manufacturer to have successfully blended all the performance and environmental attributes in a single tire so that a new category virtually had to be created for it: Grand Performance. The AVID ENVigor is the first to offer consumers the ideal blend of all-season performance, smooth comfort, long tread life, and low rolling resistance for remarkable fuel efficiency. 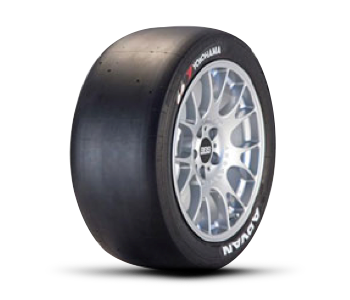 Building on the mastery of the advanced compound technology, Yokohama launched the advanced compound-infused ADVAN ENV-R1 as the Official Spec Tire for the 2009 GT3 Challenge by Yokohama race series. The ENV-R1 is the first eco-friendly tire to be used in a series-wide competition and reduces petroleum inputs by approximately 10 percent. The eco-focused dB Super E-spec mixes sustainable advanced compound and natural rubber to form a new compound called Super Nano-Power Rubber (SNPR) compound, which reduces the use of petroleum without compromising performance. It also helps consumers save money at the gas pump by improving fuel efficiency via a 20 percent reduction in rolling resistance. Did you know that every gallon of gas saved means 20 fewer pounds of CO2 released into the atmosphere? dB Super E-spec—one of only many ways Yokohama asserts its technological leadership to deliver performance while protecting the environment. Air pressure is the number 1 deterrent of tire performance. If air pressure is not maintained, the performance of the tire is not maximized. Additionally, the benefits of low rolling resistance in terms of fuel efficiency are lost. In 2007, Yokohama Tire Corporation announced the revolutionary concept tire, dB Super E-spec and with it, a patented liner called AIRTEX® Advanced Liner. Engineered by combining rubber, and plastic molecules, AIRTEX is lighter and less porous than conventional butyl liners. The result? Less air leaks out so that the tire is more properly inflated over time while delivering improved rolling resistance given the liner’s lighter weight. Where others fear to tread, Yokohama succeeded. Creating, for the first time a winter tire that has earned a W-speed rating. So now, driving at “speed” in wet and snowy winter conditions is actually possible. The perfect winter tire for enthusiasts and their vehicles equipped to tackle the elements and overdeliver on performance. The S.drive is the culmination of everything Yokohama has learned about tires up to, not until this point. It employs a new Micro-Flexible Compound that dramatically improves grip in both dry and wet conditions by enlarging contact area with the road. Based on Yokohama’s pioneering work with nanotechnology, the S.drive allows the contact patch to conform with the road surface; literally wrapping around the tiny irregularities and absorbing shock to deliver amazing performance on any road. Our engineering spirit enables the A/T-S to be the first tire to deliver it all: off-road and on-road performance, quiet comfortable ride, and long, even treadwear. Until now, serious off-road performance was usually gained at the expense of on-road civility. The Geolandar A/T-S changes the landscape for SUV and light truck tires. Unique rounded-edge shoulder blocks and patented multi-stepped tread design gives superior on and off-road grip. This innovative design is combined with a new long-lasting tread compound and Yokohama-pioneered interlocking pyramid sipes. Yokohama was the first to use nano-technology in a tire. Using the latest technology, we invented a new proprietary silica/polymer/carbon compound. This pioneering application of nano-technology means the ADVAN SPORT can operate in a wide range of temperatures with superior heat resistance. These technological marvels are OE on cars like Bentley, Porsche, and Audi. With the AVID TRZ, Yokohama elevated touring to a much higher level. The original three-ride zone design builds on the innovative asymmetric design of the legendary Yokohama A008. Revolutionary 3-D Adaptive Sipes give improved edge effect in wet conditions, and help the tread block keep the ideal shape so there is an even amount of contact pressure with the road surface. 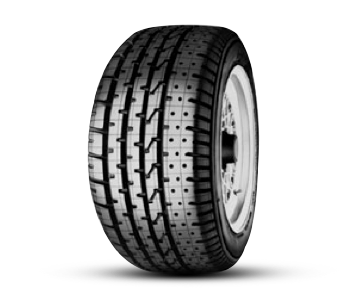 This Yokohama 3-D design provides exceptional grip in both winter and summer; and long even treadwear. ADVAN is the fastest tire on the street. It is the result of inspired design and an innovative compound working in concert. Independent tire tests and national wins in both SCCA SOLO 2 and the PRO SOLO class prove it. The Micro-Silica (MS) tread compound is patented. Directional tread pattern using massive tread blocks with rounded edges gives enhanced cornering stability and excellent steering response. 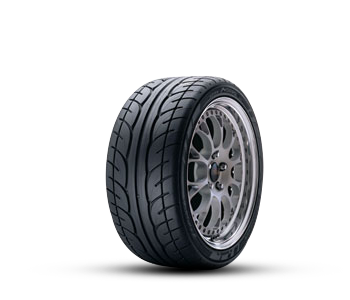 The first tire specifically for the tuner segment was the Parada. Engineered and built with proper sidewall loading, the Parada was perfect for the Plus 1 and Plus 2 fitment that the tuner segment wanted. Yokohama added a patented silica compound, which resulted in improved handling and enhanced grip to go with the right looks and fitment. Yokohama pioneered ultra-high performance and plus-sizing for SUV tires. The AVS S/T was the first V speed rated tire for SUVs. Available in plus sizing, it was not only the fastest SUV tire in the world, it started a whole new segment for SUVs and light trucks. Today’s super-large-style tires began over a decade ago with Yokohama leading the way. Using race-proven technology, Yokohama designed a radical asymmetric tread along with increased rubber compound and revolutionary “dimple injection molding” to dissipate heat like no other street tire ever made. The result was incredible grip and performance never before seen on a street tire. We made history when the Department of Transportation approved the Yokohama racing-compound tire for general use. Yokohama created the first DOT-R tire and started a whole new category. Now enthusiasts finally had a street-legal tire that gripped as well as racing tires. A001R was the beginning of a long tradition of Yokohama innovations.